A quota has ensured women’s presence in the local government and National Parliament. Among women politicians, the older group entered politics through social work, while some among them and the new generation of women have emerged from student politics. 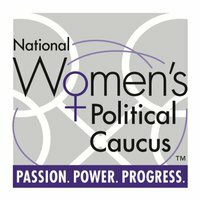 Despite many odds, statistics and analyses reveal a slowly growing trend towards women’s political participation. However, they face an ominous challenge. There has also been a growing influence of money in Bangladesh politics, particularly in electoral politics and in guarding/promoting spheres of influence. This acts as a further constraint on women’s political participation since fewer women have access to financial resources.